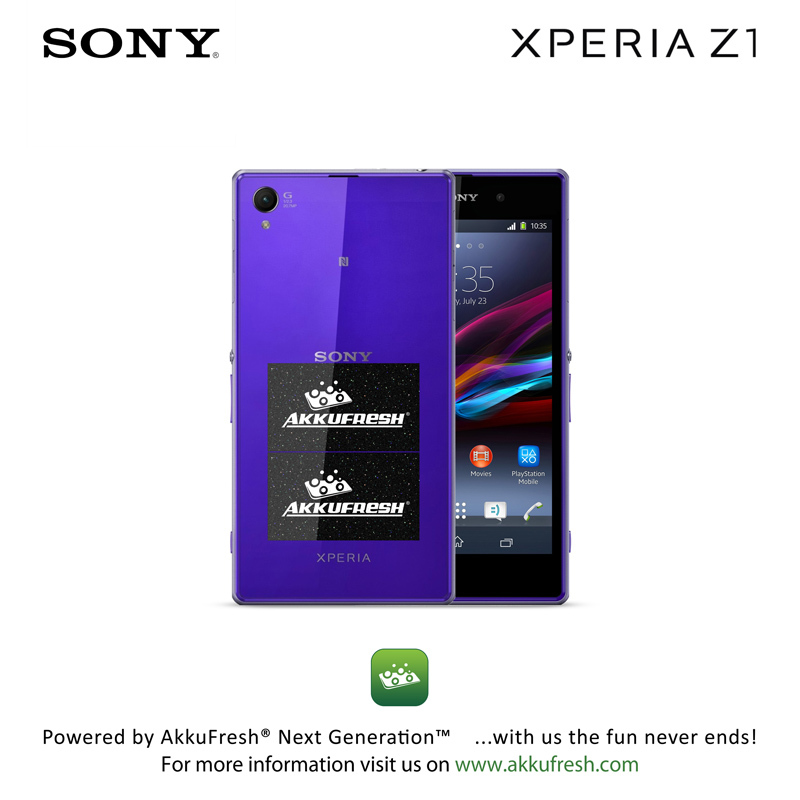 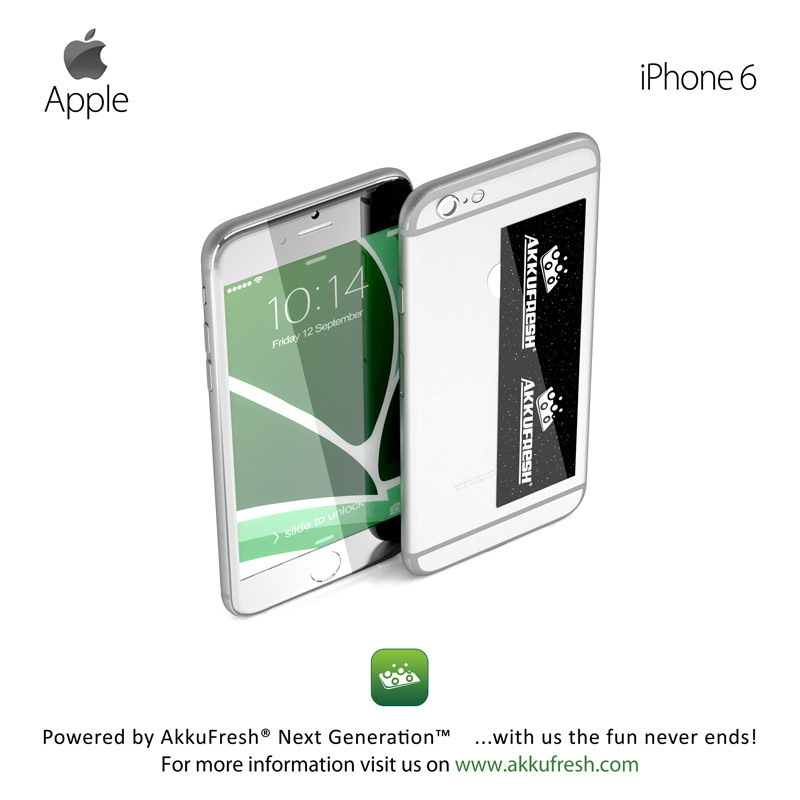 A mobile phone used to illustrate the installation of AkkuFresh® Next Generation™. 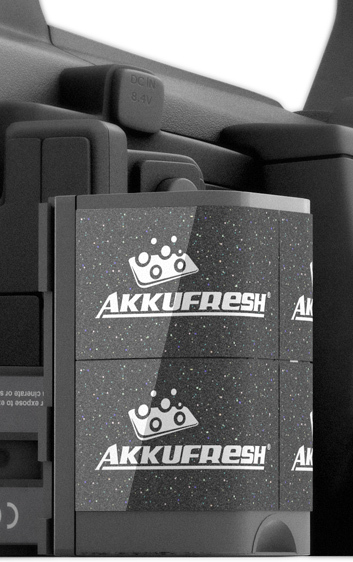 It’s compatible with any portable devices. 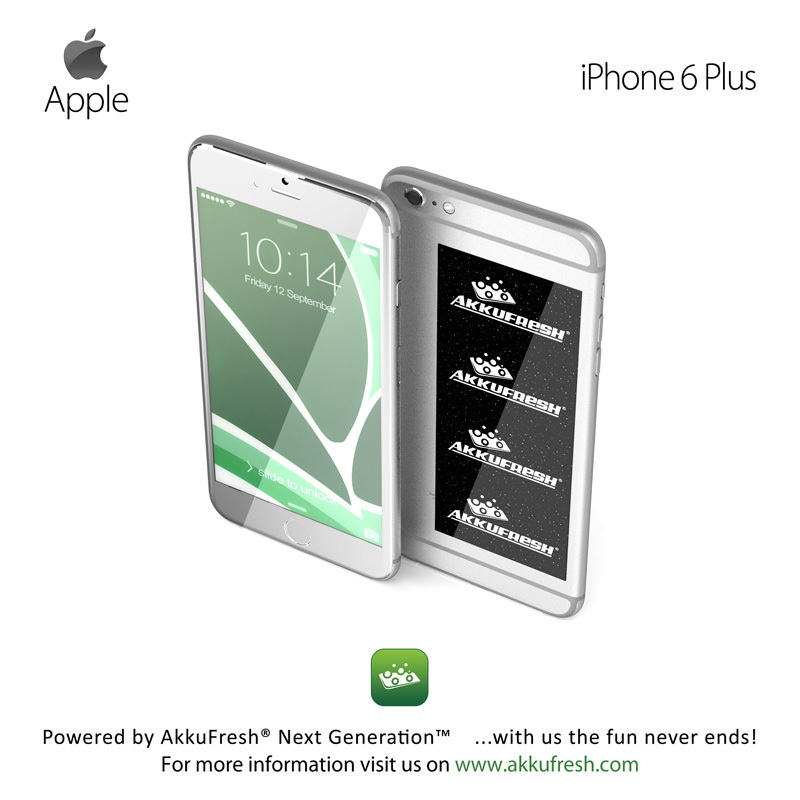 AkkuFresh® Next Generation™ foil's effective performance depends on several factors, including type of mobile device, brand, model, type of battery, age, status (total amount of charging-discharging cycles), external temperature, environmental conditions and cellular network. 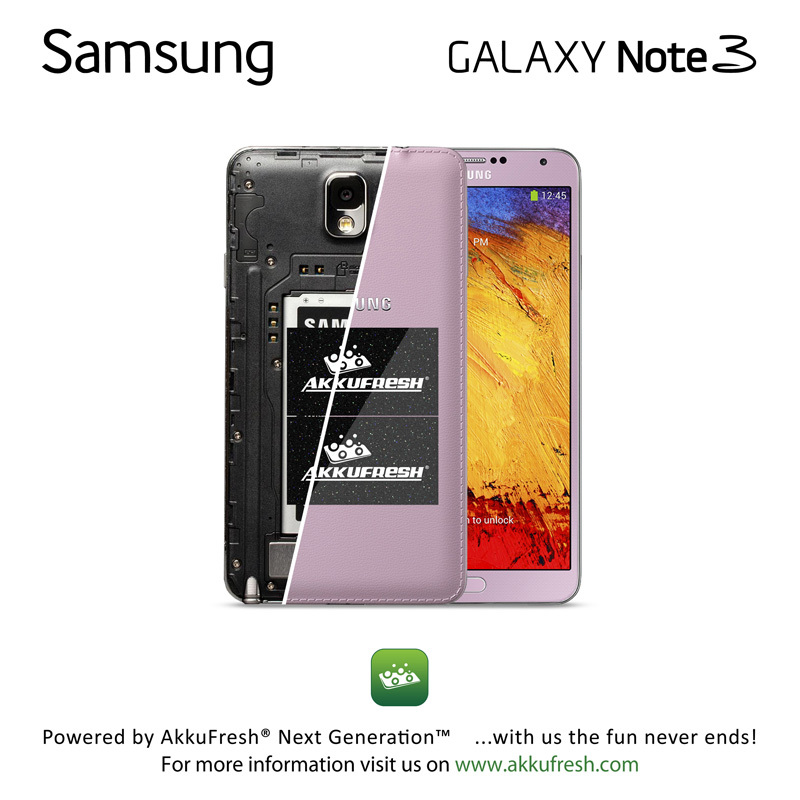 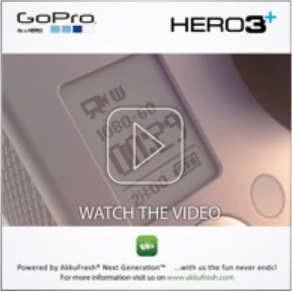 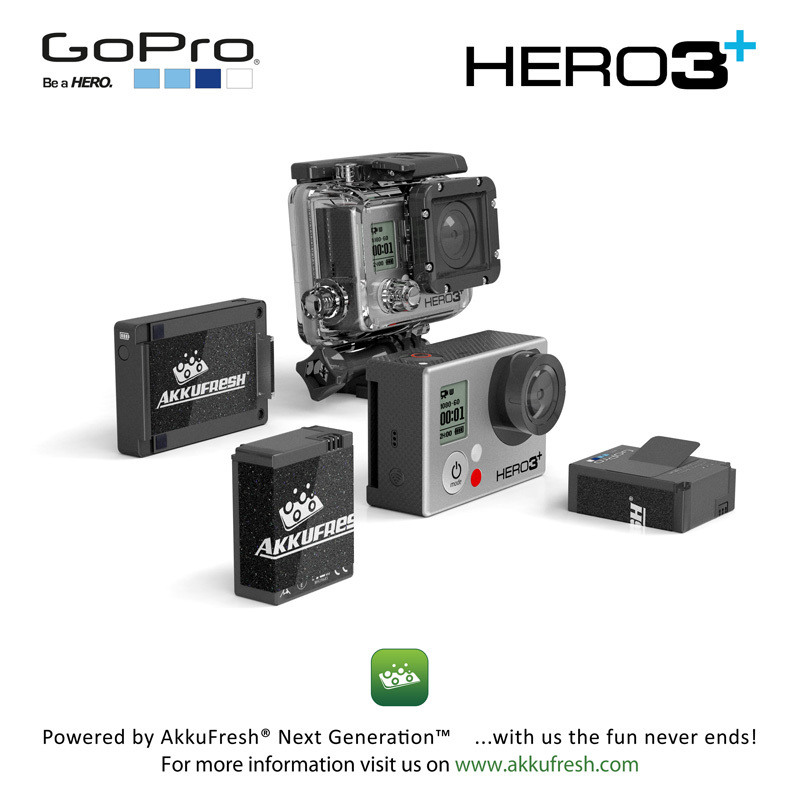 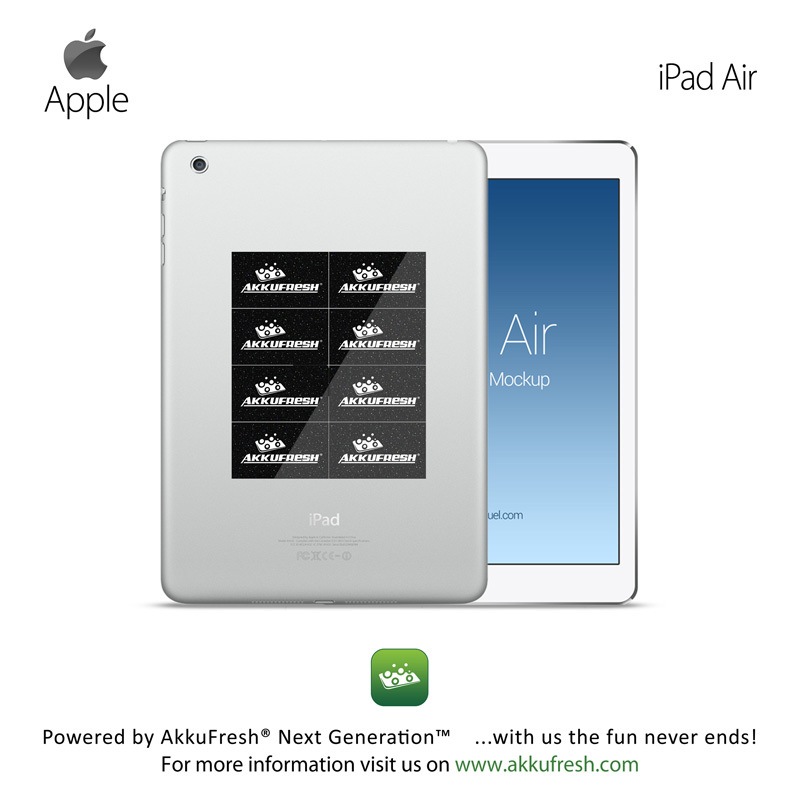 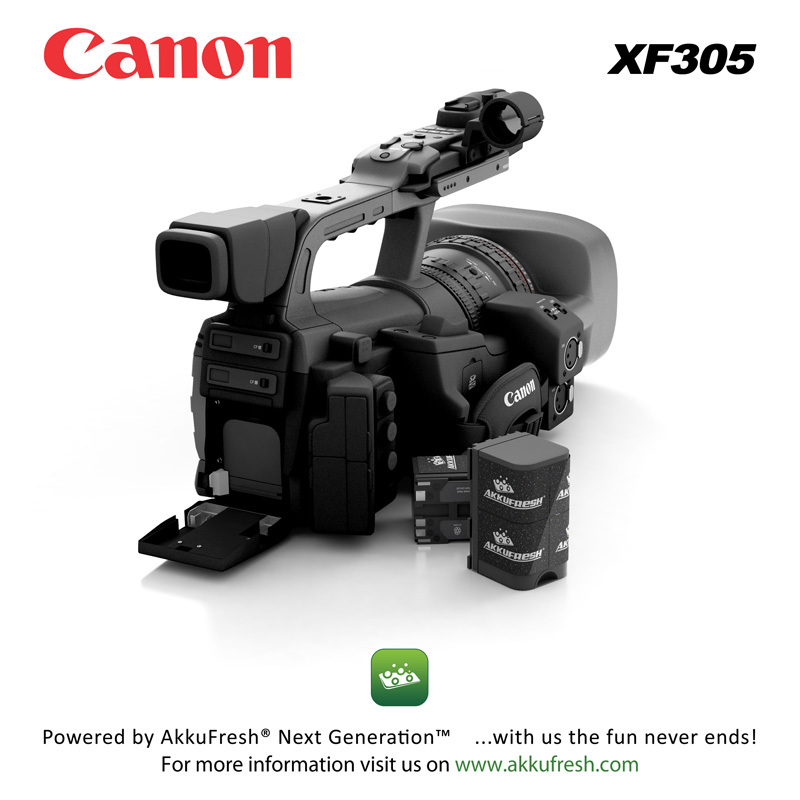 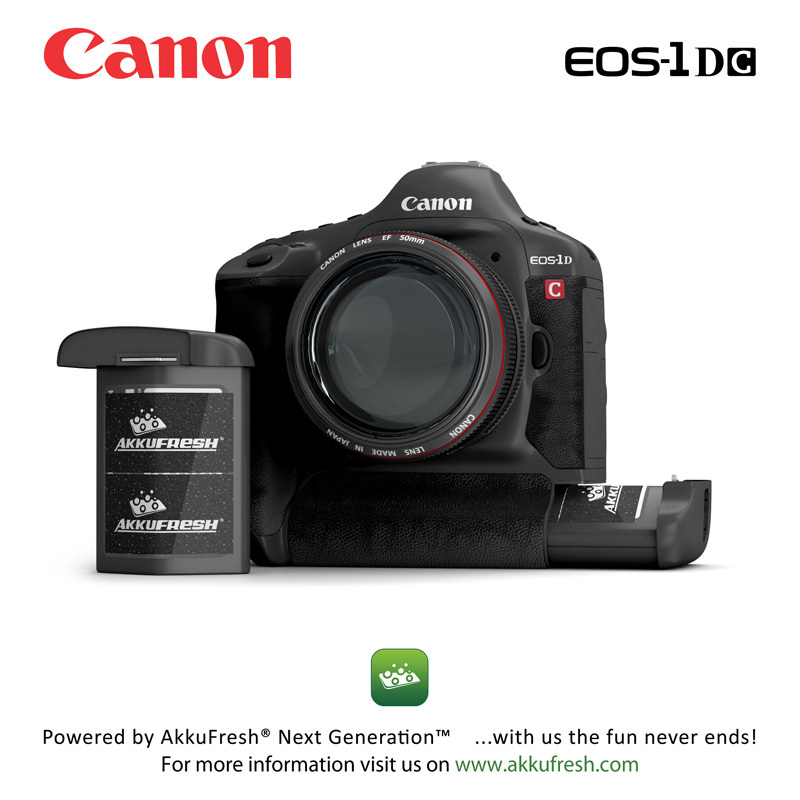 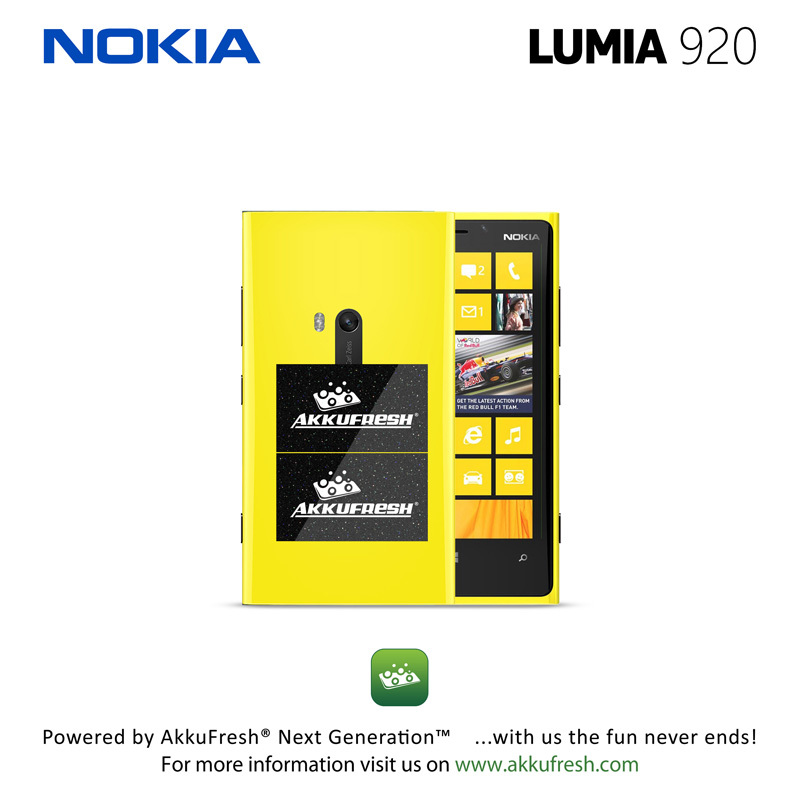 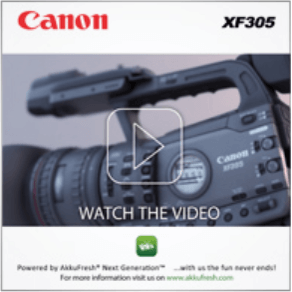 C. For greater efficiency, ad more AkkuFresh® to cover at least 80% of the battery on one side. 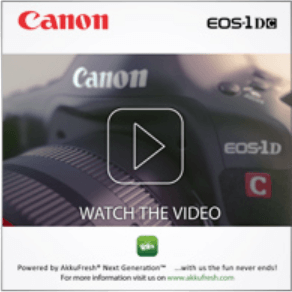 D. Several charging cycles (5-10) are required for noticeable improvement in battery life.